Sylvan and Bernice Simon were among the 11 victims murdered by an anti-Semitic gunman in a Pittsburgh synagogue. Bernice and Sylvan Simon were the parents I never had. When I first met them in 2007, I was a divorced single mom, raising my son on my own. I was working as a geriatric social worker at a senior center here in Pittsburgh, and they were volunteers. We connected simply as Jews, but it became so much more. At a time when I didn’t have anybody, Bernice and Syl stepped in for me when I needed them most and comforted me. Every time I introduced them to someone I would call them “my parents.” Because to me, they became just that. I lost Bernice and Sylvan on Shabbat. They were at Tree of Life, as they were every week, and had come early, as they did every week. It’s hard to think during this time; and it’s hard to mention their names without tears coming to my eyes. They were the sweetest, kindest people who would do anything for anyone, as they had for me. The only thing that comforts me is knowing that they were together when they returned to their Maker. From the moment I heard something was happening, I knew they were at Tree of Life. I just knew it. All I could think was “What about Baila and Syl!? !” I was shaking. Syl was a member there for 50 years and used to go to services every morning. Bernice, whom I always called by her Hebrew name, Baila, was active in the Sisterhood and would sometimes go along on weekdays, but was there with him every single Shabbat. Sylvan celebrated his 86th birthday in June—on 6/13, actually, the number of the mitzvot—and Baila turned 84 in August. They never missed a Shabbat because they were proud and active members of the Jewish community. For them, being a part of the Jewish community was not just in name, it was in action. They lived as Jews, they raised their children as Jews, they built a Jewish home, with Jewish books filling their shelves and mezuzot on their doorposts. Because more than anything else, they loved their family and they loved Yiddishkeit. I was becoming a more observant Jew when the Simons came into my life. Two years later, I met and married my husband, Boruch. At the wedding, Bernice heard everyone calling me by my Hebrew name, Rochel. She came over to me and whispered: “My name is really Baila.” I have called her Baila ever since. She enjoyed that. Baila and Syl were not without their own trials; a few years ago, they tragically lost their son. They used to say that it wasn’t the way of the world, that parents aren’t supposed to bury their children. But they kept their faith, finding comfort in their family—whom they loved so much and were so close to—in their volunteer work and in Jewish community. As they had supported me during my most difficult times, they were supportive of me as I continued on my personal journey. When I was becoming more religious, they would say, “We’re so proud of what you’re doing!” There was no criticism—only love, support and respect. Baila and Syl came to our house often, and it was tradition for them to join us on Rosh Hashanah and Sukkot. They loved it, and we’d talk about Yiddishkeit the whole time. Baila had a special love for Jewish things. She was always reading a Jewish book. “Oh, you have to read this!” she’d say. “Is this hechsher a good one?” she’d call to ask if she was shopping for food. Syl would call my husband all the time with questions, too. They were curious people who always wanted to learn more about their tradition and faith. Syl once told me his grandfather was named Menachem Mendel. I said that must mean he’s a Lubavitcher, and he should come with me to Chabad! He laughed and said he wouldn’t be able to keep up. But I know he would have. 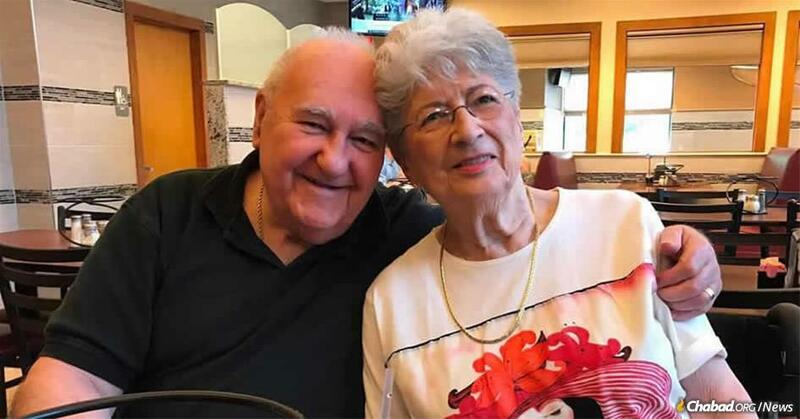 Baila and Syl were season ticket-holders to the Pittsburgh Symphony Orchestra, and recently, as they got older and started driving less, Boruch and I would drive them downtown, and afterwards, we’d all go out to eat. We’d all go straight to the one kosherrestaurant we have in downtown Pittsburgh; there was never even a question in their minds. I adopted them as my parents, and they adopted me as their daughter. It’s painful to know I won’t have them here to turn to for the advice they always readily shared, the warmth of their embrace, or their never-ending love and support. I know I’m lucky to have had them as a part of my life. Baila and Syl were the proudest Jews I ever knew, and Yiddishkeit was the central aspect of their lives. They died as Jews, for no other reason than being Jewish. But they also lived as Jews, always doing something, always on the move. I know they would want us to not be afraid, to keep going to shul. They would want us all to never lose faith in Hashem, in G?d, as they never did. Most of all, they’d want us to stand up as strong, proud Jews and to make Judaism a living, breathing part of our lives!